Creating panoramas has always been somewhat of a photography novelty, and the continuing evolution of both regular cameras and smartphones has given us some pretty good options to work with. Many new point-and-shoot cameras come with a built-in panorama features and if you have a smartphone, there are countless apps that will allow you to create long, stitched-together panoramas right from your phone. Most of these options don’t allow for 360-degree shooting–and we certainly don’t know any that can shoot 360-degrees and also have a 14-megapixel sensor. The adorable egg-shaped Tamaggo ($200) takes both of those features and puts them into a small robot-like package that will make panorama-shooting about as easy as it can be, and give you 14-megapixel shots to work with. The small camera comes with a helpful stand and will take shots in either full 360-degree mode, or either horizontal or vertical panorama. The camera has a 2-inch LCD touchscreen and runs off of a li-polymer rechargeable battery that can connect to your computer via micro USB. The camera also features Bluetooth and built-in WiFi for sharing your photos. 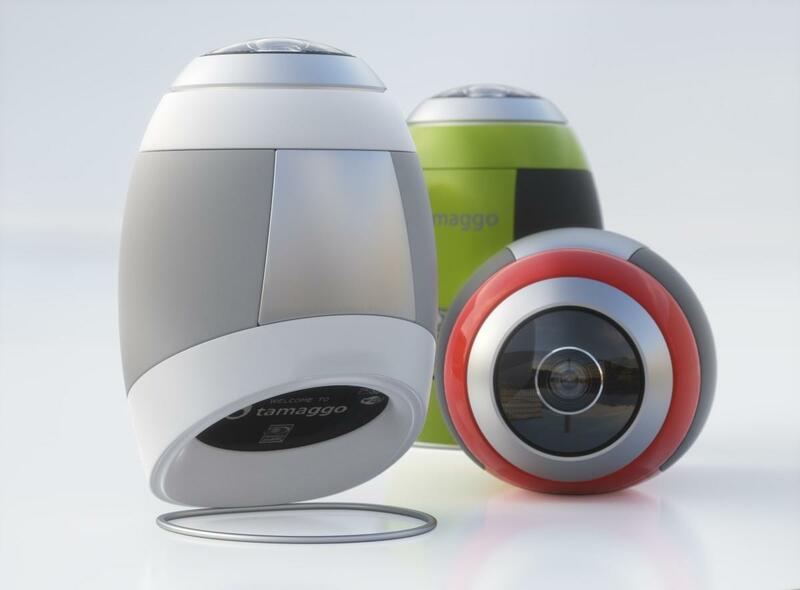 The Tamaggo will be available in the second quarter of this year for $200.